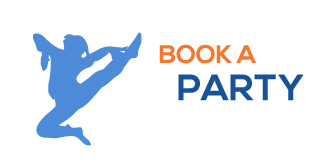 Sky Zone Sarasota offers Freestyle jumping, SkySlam, Ultimate Dodgeball (when available), Sky Ladder and a huge Foam Pit, NEW Warped Wall, NEW SkyJoust, NEW Tug of War, and NewSkyLine. For just about any age, shape or size, Sky Zone Sarasota is the ultimate 3-D play experience! Sky Socks are required to jump. We size separate by age for jumper safety. 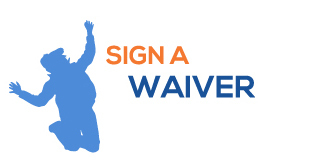 A vaild waiver is required for each participant (Under 18 must have waiver signed by their parent or legal guardian). Glow Zone sessions require a valid waiver for anyone attending even if they are not participating. If you are attending Freestyle Jump or Glow Zone, please arrive 15 minutes early to ensure timely check-in. If you are attending a Toddler Time session, check in begins at session start time. SkySocks are the only approved footwear to be used on the trampoline. $3.00 Per pair, yours to keep and reuse.